Yes. But then she is very nice too really as well! Aw, Kish, that statement went undisputed for three years! You can't wade in and dispute it now! Lol Kate. Do we even know positively for sure that this is a Bounty bar in question here as it was a Marathon getting it up there I reckon! ok ok I see it now!!!!! Doh!!! Like Bounty bars, well you can make your own! I wonder how many Bounty Bars died on the way up to get just one to the top? A bountiful amount perhaps???? I like your thinking!! Ho ho ho! Viewer discretion advised, but the truth is the truth, pretty or not. Edmund Hillary's words are one viewpoint. The last paragraph of this National Geographic article is another. Anyone else on here noticed the sideways on papoose style wrapped baby with wide open mouth! No it is not actually really there, just that because of the whole simulacra thing, it looks a bit like one, is all! On far left hand side top of picture. Simulacra are things that your eyes and brain see an image in when it is not really there. Sherpa's point of view here! I now realise that choc bars are left at the summit as gifts or offerings for the spirit of the mountain, Lady or Goddess of the Mountain. In the 1975 Canadian expedition they left a Kit Kat up there to ask for a safe descent, recreated in the film! Great really thrilling climbing movie! Last edited by Trevor DC Gamble; 30-03-2017 at 02:27 PM. Last edited by Trevor DC Gamble; 07-02-2017 at 03:27 PM. Bounty bars on Everest is one thing, but check out this full courses extravagant dinner then, lol! 'Only 386 people have made it to the top of the 28,251-foot mountain K2, compared with 7,604 on Mount Everest.....' Wow!!! Is Climbing Everest Without Supplemental Oxygen Reckless? Last edited by Trevor DC Gamble; 22-02-2017 at 01:17 PM. 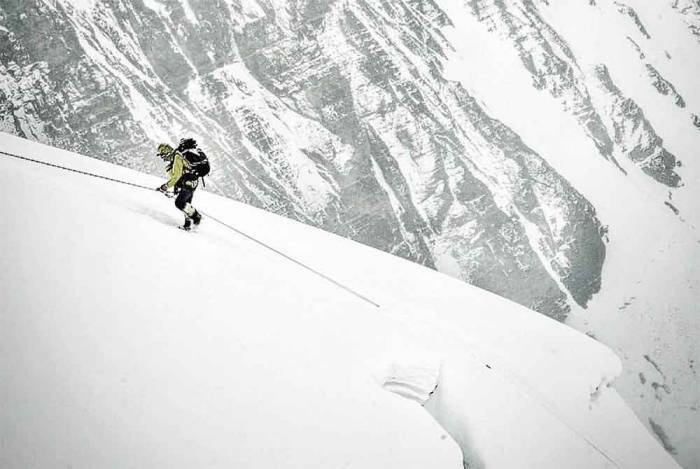 Indian Police Climbers on Everest. DId They Summit or Not? Talkback: Did My Ice Axe Summit Everest?